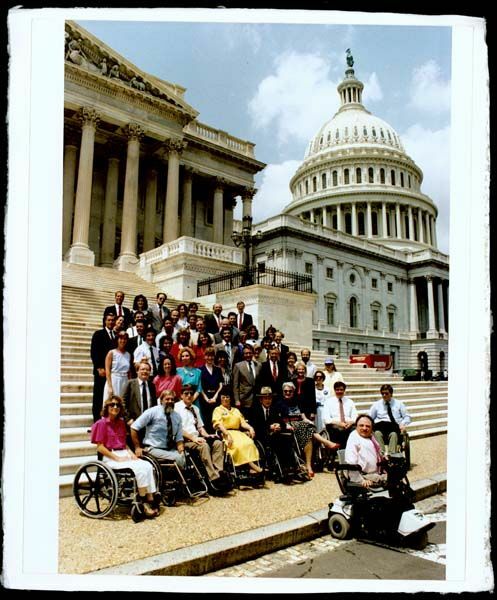 Summary: In 1990, the Americans with Disabilities Act (ADA) became law, prohibiting discrimination against people with disabilities. 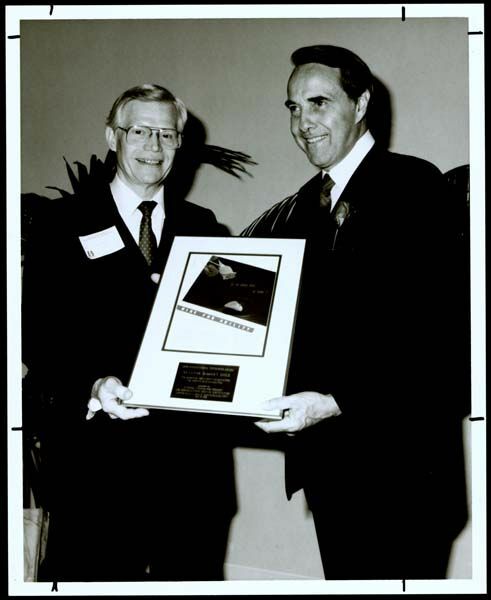 As a wounded WWII veteran who never fully regained use of his right arm, Bob Dole was an advocate for the disabled throughout his career and a major supporter of ADA. 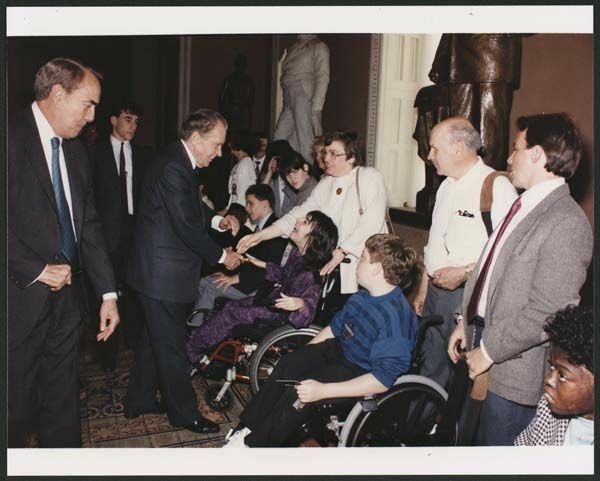 Online materials: Speeches made by Senator Dole about the passage of the ADA; letters, memos, and statements from Senator Dole regarding changes to the government buildings in Washington, D.C. to meet the ADA accessibility standards; and explanations of the Act and its enforcement. 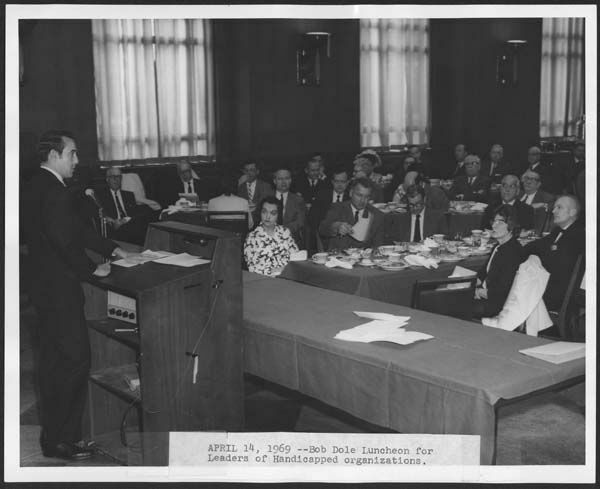 Read more about Dole's role in the Americans with Disabilities Act. 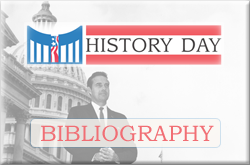 Additional materials: Constituent letters regarding making businesses ADA compliant, memos, and Senate testimony transcripts. Title: Checklist: Are You In Compliance? 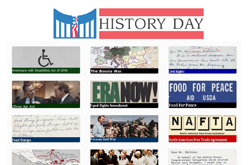 For more History Day options, explore our online collections database where you can access the full inventory of the Dole Archives, including a digital library of over 2,000 photos and documents.